Popsicles. A trip to the park. Playtime without worry. For many kids, those are the hallmarks of summer. But what about the children for whom this is not a reality? 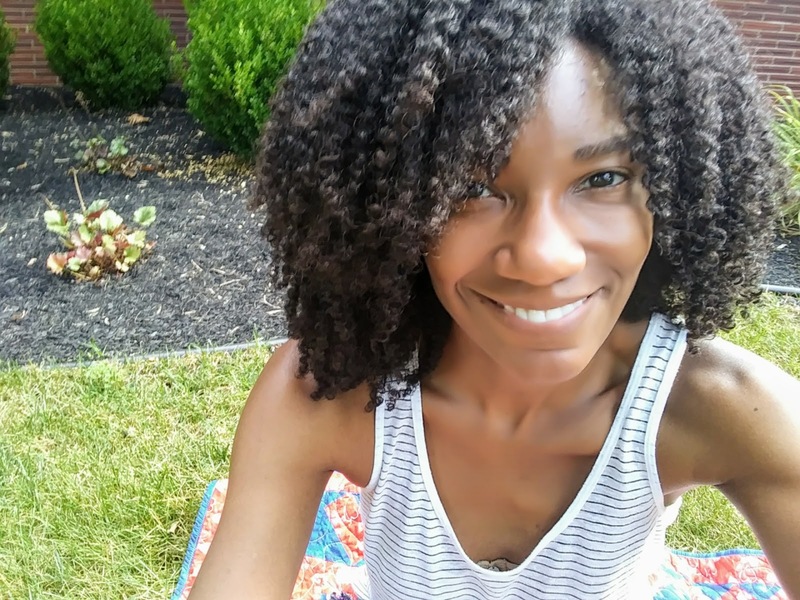 They don’t call it the dog days of summer for nothing; daytime can be long – and lonely – especially for kids who don’t have access to recreational facilities or the resources to consume a midday meal that is as enjoyable as it is nutritious. Detroit’s Meet Up & Eat Up program gives these children something to look forward to. 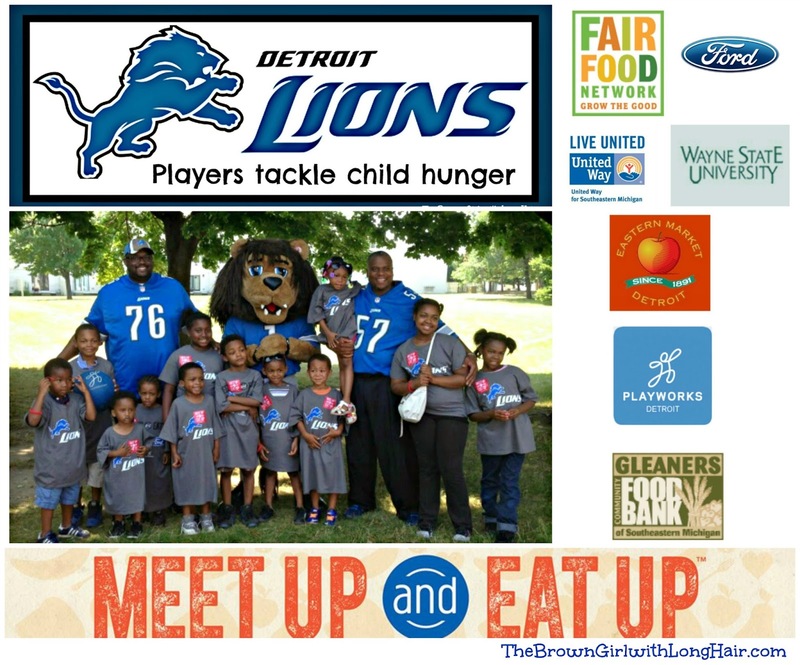 This summer, the Detroit Lions and Ford Motor Company are bringing awareness to Meet Up & Eat Up. The program addresses food insecurity and hunger in Detroit. Several community organizations are doing their part to support the Meet Up & Eat Up program, including United Way for Southeastern Michigan, Detroit Eastern Market, Gleaners Community Food Bank, Fair Food Network, Playworks Detroit, and Wayne State University School of Medicine. But this initiative isn’t just about food – it’s about health in general. Detroit Lions players and alumni – along with Roary, the Lions mascot – will be present at eight Detroit sites to help lead recreational activities. More than exercise, the games that these players teach emphasize life skills such as sharing, teamwork, and the importance of demonstrating respect. The activities also encourage children to be competitive while putting their best foot forward. My husband Scott has attended three of these sessions – and will be attending his fourth today. (He's #76 in the photo above; #57 is former Detroit Lion Tim Walton.) He sees firsthand how beneficial a program like this is, and he will tell you that it’s a safe, comfortable, and positive summertime outlet for kids. If you’d like to get involved or pledge your support for the Meet Up & Eat Up program, you may contact Playworks Detroit here, or the United Way of Southeastern Michigan here. "Like" us on Facebook, and follow us on Instagram! Thank you so much - to both you & Scott - for helping to spread awareness of the Meet Up & Eat Up program, for bringing joy & excitement to the lives of the kids at the sites, and for keeping them healthy with fun physical activities this summer! I was at the Woodbridge site today and saw so many young faces light up when Scott offered to give autographs and take pictures with everyone. The air was full of laughter and positive vibes and it made my day to be a part of it. Keep up the great work & thanks again for all of your support! Wow, Stacy...thank you! But, really, Scott and I -- along with all of those wonderful kids -- thank you and Gleaners. It's organizations like yours that enable kids to experience things that they might not have the opportunity to otherwise. What a great cause! I love organizations that helps the kids, like keeping them active, help with meals, etc. I know the kids are really grateful to hangout with former football players- very cool! That's the world we live in nowadays.Too funny! This is so awesome. And I can just imagine that Scott would get such meaning and fun out of an event like this. Love seeing Scott's own words! I do know the importance of three full meals..
Hi, Tamera! Aren't three full meals necessary?!?! Thank you for taking the time to comment, Tamara, and congrats, again, on your second SITS! Not only do I love how your family is involved, but what a great example to set for your children to learn compassion and to give back. 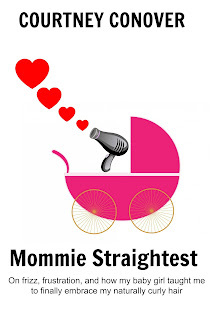 A dear friend of mine works for Share Our Strength and her tireless commitment is amazing. Quick funny story - a few years ago at camp, the little restaurant was closed (unscheduled), and we had to rely on our packed lunches only. I quietly explained the situation to Stepson and we divided up our lunch to share with the family who didn't pack a lunch. And in his precious and innocent loud child voice, "we're sharing our lunch because they are poor and can't afford lunch." Um... no... the restaurant was closed and they didn't have backup but glad you get it kiddo! Thanks to you and your family for all you do to help your community. What a wonderful program. I remember growing up in the projects of NY and these summer programs were not only a Godsend for our grandmother, but it was a wonderful experience for us! Third, thank you very much for sharing your comment with us, and enjoy the rest of your day.